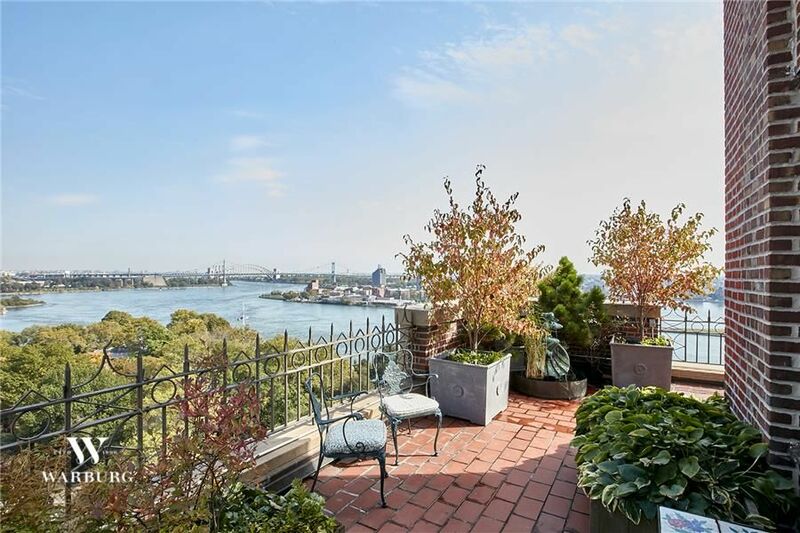 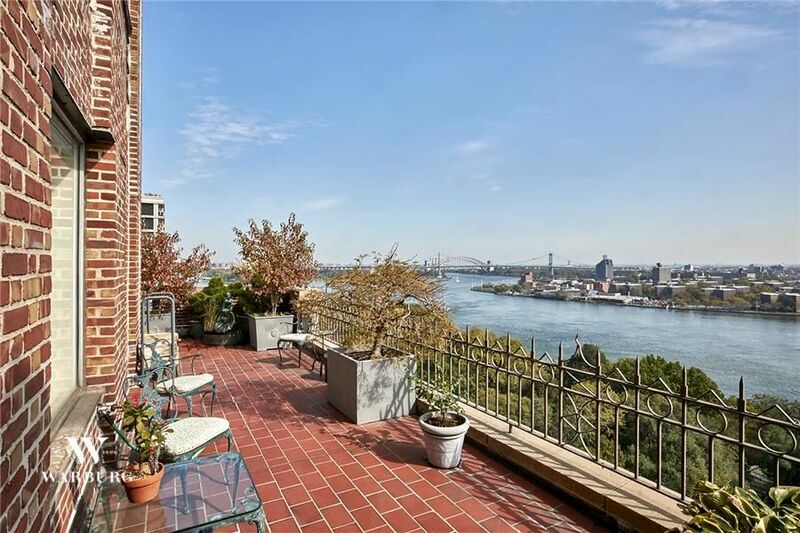 Once the home of legendary Hollywood songwriter Irving Berlin, this glamorous Penthouse Duplex apartment has spectacular views over Carl Schurz Park, the East River and New York City bridges. 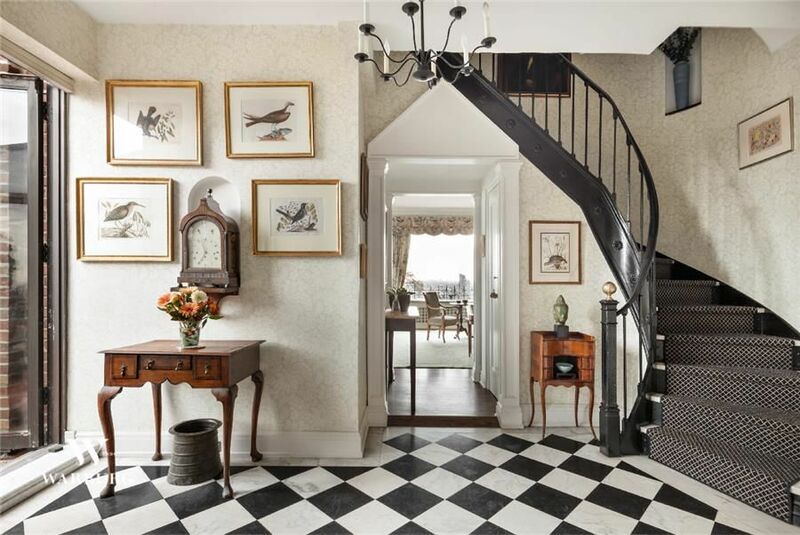 A gracious entry with circular staircase opens to the 28' corner living room with wood burning fireplace. 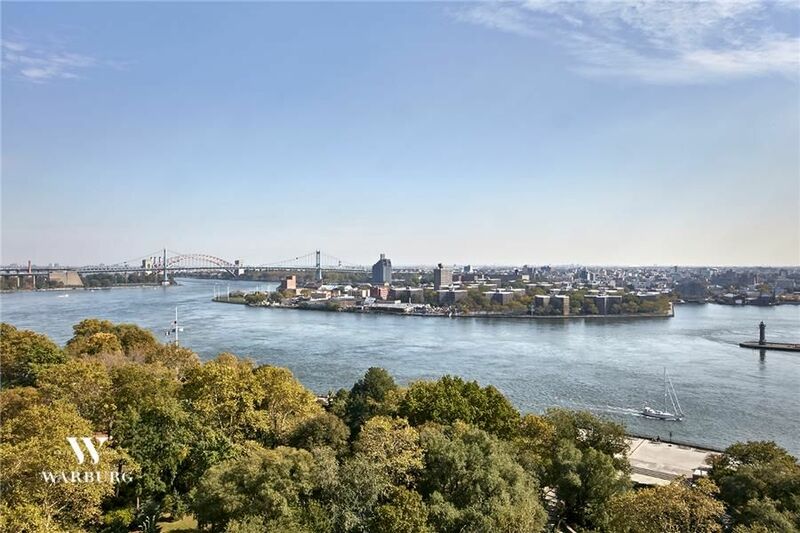 Sweeping unobstructed views from the 5 oversized living room windows and the adjoining landscaped wrap terrace create the perfect setting for entertaining on a grand scale. 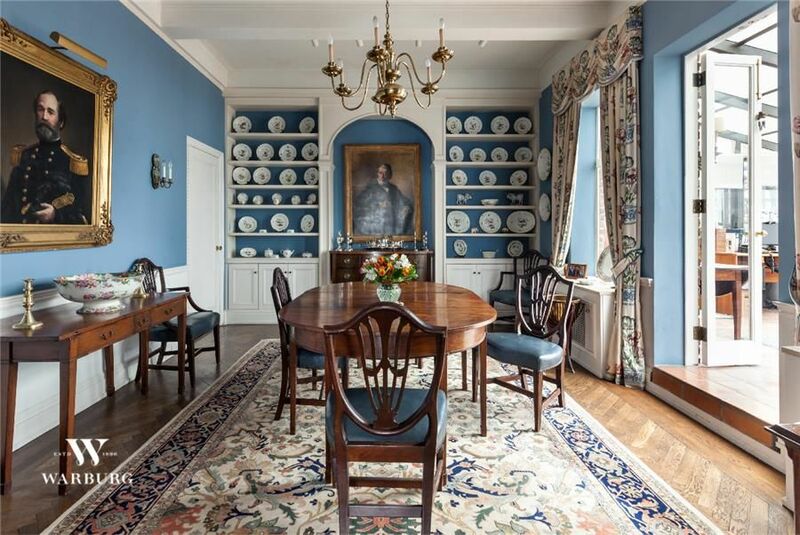 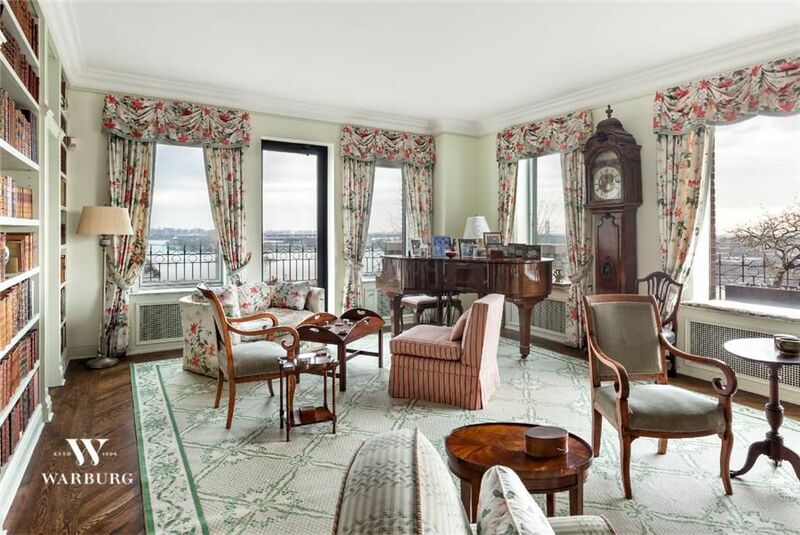 A gracious formal dining room with adjoining sunroom has access to the terrace. 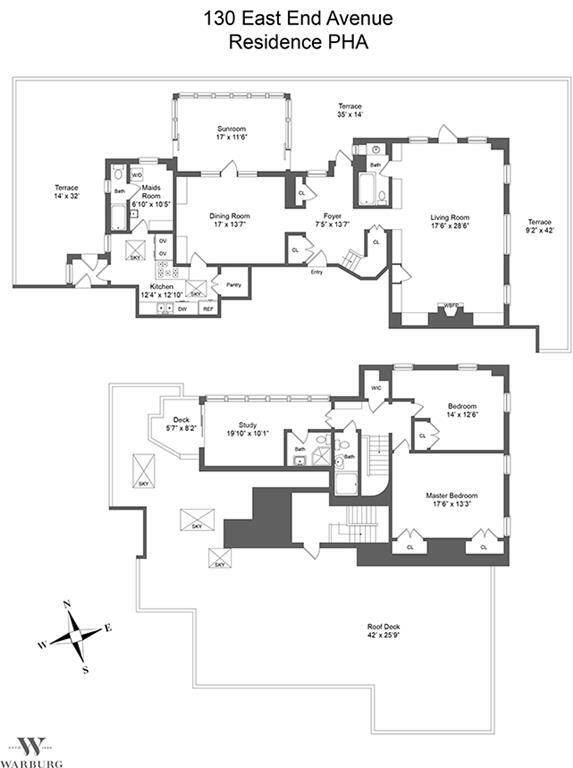 A kitchen and maid's room complete the lower level of the duplex. 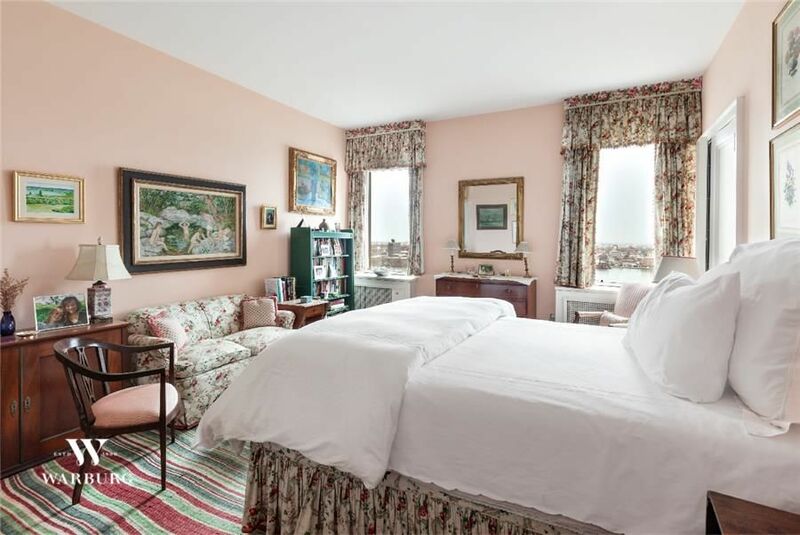 The circular staircase leads to the master bedroom and a second bedroom/sitting room, both have stunning views. 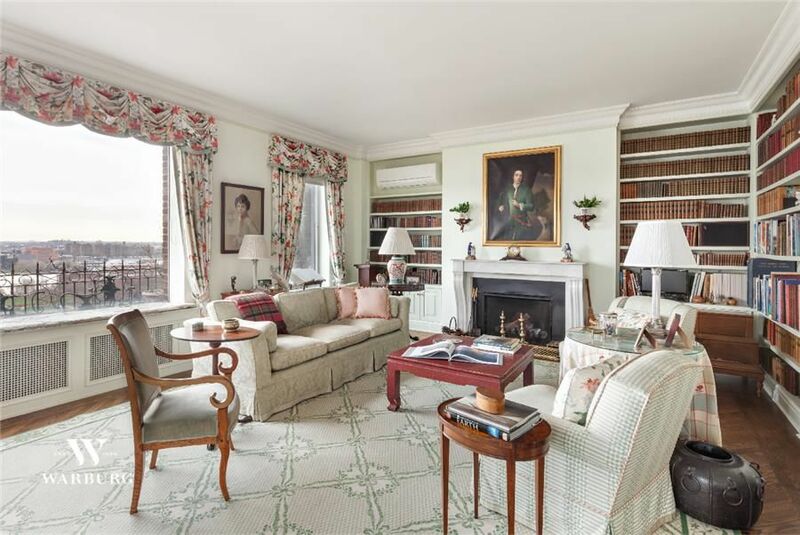 Two bathrooms and a light-filled study that opens to a deck and a large terrace complete the second floor. 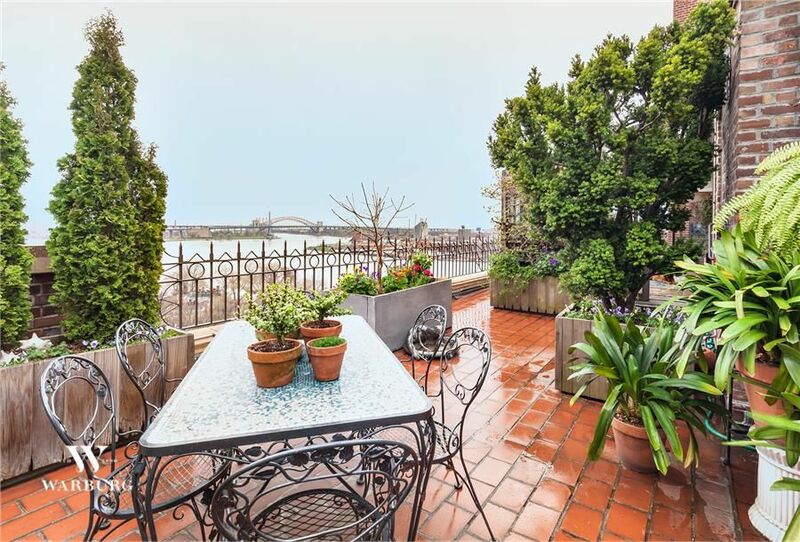 This beautiful apartment has lovely architectural details, high ceilings and is truly "ONE OF A KIND".